We offer Multi Wall Paper Bags for Cement, Flour packaging to our clients. The product is known for a good quality and reliability. With rich industry experience, we are engaged in manufacturing, exporting and supplying optimum quality Packaging Multiwall Paper Bags. - Used in various industries for packaging cosmetics, chemicals and food products. The bags are made of multiple layers of Kraft paper which gives it great strength. The inner layer is sometimes laminated or specially coated to protect the contents from harmful contamination and to keep the contents fresh. The construction materials specified in each case are determined by the product itself and the degree of product protection required to safeguard its quality. 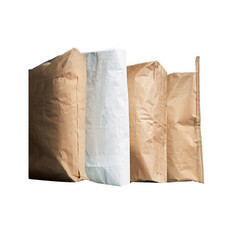 We offer a large selection of multiwall paper bags. We specialize in customizing bags to your specifications but also carry a wide variety of bags in stock. These are available in number of sizes. Multi wall paper and dunage bags are an important part of the packaging process today also. These eco friendly bags are fully recyclable and are used to pack material like tea, dry minerals, carbon black, cement and such products. Qualitative kraft paper and multiple layers provide extra strength to the paper bag. Duplex board paper bag will come in multicolour printing. 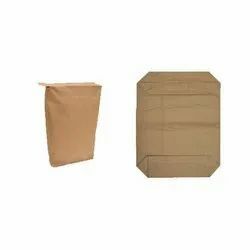 Multiwall paper bags are made from multiple layers of natural and extensible sack kraft paper for Cement, Carbon Black etc..
Multiwall Paper Bags are more prominent for advertisement individual, business or organization. Our paper carry bags printing are so durable, eco friendly and reusable Carry bags include with your business image on gifts bags and shopping bags.We offer Paper Carry Bag in a wide range and, it is crafted using quality papers for durability. With the help of our experienced team of professionals, we have been able to manufacture and supply our clients a comprehensive range of Multi Wall Paper Bags. These bags are designed and manufactured by our skilled professionals in compliance with international standards using high grade raw material and latest technology.